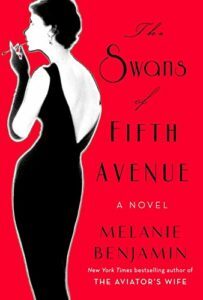 Melanie Benjamin’s The Swans of Fifth Avenue is a delightfully gossipy look into the lives of a handful of New York City socialites and Truman Capote from the 1950s to the 1970s. Admittedly, I knew nothing of Truman Capote’s life outside of the film Capote with Philip Seymour Hoffman, and even then details are a little bit fuzzy. I know he wrote In Cold Blood and Breakfast at Tiffany’s with a smattering of short stories, but other than that, I’m a bit lost. 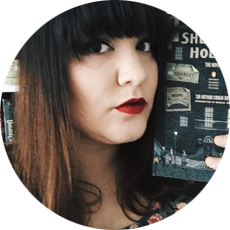 I think that helped me a bit with the novel, going into it without knowing much, because it helped shape that fairy tale sort of quality I found in it. I really liked Babe, and I like that she found some companionship and love in her friendship with Capote. I liked the life Benjamin brought to each of the women Capote befriended. Parts of the novel were told through the eyes of each of these women, and each of their points-of-view added to an excellent character study. These sheltered, beautiful “swans” of New York trusted Truman Capote with their thoughts, ideas, and secrets, and he ultimately betrayed all of them, including Babe, his closest friend out of all of the swans. Capote’s insatiable desire for gossip and his inability to keep it to himself led to some serious consequences. I couldn’t help but see that the driving question behind the entire story is why does one friend betray another? What drives all of them to backstab and spread secrets and lies? I think, perhaps, if you have it all and believe you have nothing left to do with your lives because you’ve “accomplished everything,” what more can you do with your life? Maybe for all of them, in their sheltered lives, all they wanted to do was to create a little drama to distract them from their terrible husbands and other disappointing or awful aspects of their lives. New York’s high society in the fifties and sixties seems so far gone, but it wasn’t, not really. Beyond the fancy apartments, jewels, all of the designer dresses and shoes, Melanie Benjamin showed us that beyond the perfect veneer, the rich and famous were human just like the rest of us, dealt with similar heartbreaks and dramas the rest of us see in day-to-day life, but we’re so far removed from their world that it seems like a perfect fairy tale to us. The Swans of Fifth Avenue has made me want to read Capote’s work, especially the pieces he wrote about the Swans and has made me want to read more about this era, because it’s an era in which I’m entirely unfamiliar. Thank you to Netgalley for a review copy!